Craig Air Force Base was used a pilot training facility for 37 years before it was shut down in 1977. 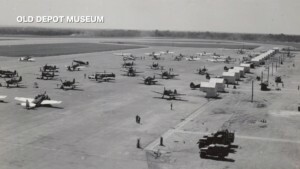 According to records, Craig Air Force Base had a population of 5,000 people and at one point in its history was one of the busiest airports in the United States. Craig had an annual payroll of more than $30 million dollars and spent more than $3 million in services from local businesses each year. People in Selma say the impact of closing the base is still being felt today. The Selma community is facing challenges in the areas of poverty, unemployment, economic development, education, diversity and crime. “When you take that many millions of dollars out of an economy without it being prepared for it you know there’s going to be a problem,” said Selma Talk Radio Show Host Randy Williams. The city of Selma currently operates on an annual budget of about $17 million dollars.